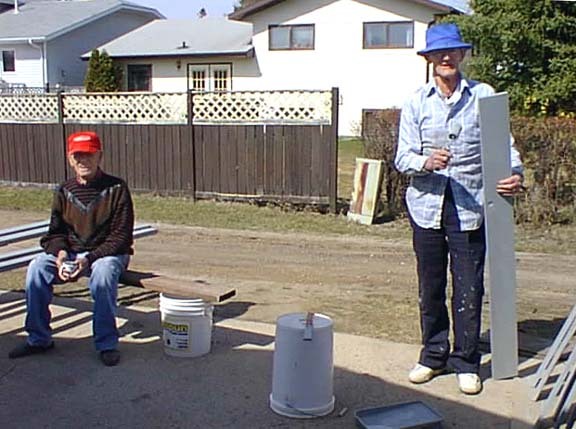 Ted Fisher and his friend were busy at work Saturday afternoon painting the fence and from their remarks, if they had not read this story they no doubt knew about the technique. I asked them about the perplexing issue of deciding just what to put on a fence now and they both agreed that Co-op paint was the best to be had although Ted thought Moore paint was pretty good as well. But mostly they recommended that I talk to a fellow who doesn't work at the Co-op now as he had retired but that man knew everything there was to know about paint. It may have been a long time since you read Mark Twain's remarkable account of his character Tom Sawyer and painting his fence. So I thought you might like to look it over one more time. Jim was only human - this attraction was too much for him. He put down his pail, took the white alley, and bent over the toe with absorbing interest while the bandage was being unwound. In another moment he was flying down the street with his pail and a tingling rear, Tom was whitewashing with vigour, and Aunt Polly was retiring from the field with a slipper in her hand and triumph in her eye. But Tom’s energy did not last. He began to think of the fun he had planned for this day, and his sorrows multiplied. Soon the free boys would come tripping along on all sorts of delicious expeditions, and they would make a world of fun of him having to work - the very thought of it burned him like fire. He got out his worldly wealth and examined it - bits of toys, marbles, and trash; enough to buy an exchange of work, maybe, but not enough to buy so much as half an hour of pure freedom. So he returned his straightened means to his poke, and gave up the idea of trying to buy the boys. At this dark and hopeless moment an inspiration burst upon him! Nothing less than a great, magnificent inspiration. “Set her back on the stabboard! Ting-a-ling-ling! Chow-ch-chow-ow!” His right hand, meantime, describing stately circles - for it was representing a forty-foot wheel. “Let her go back on the labboard! Ting-a-ling-ling! Chow-ch-chow-ow!” The left hand began to describe circles. Tom gave up the brush with reluctance in his face, but alacrity in his heart. And while the late steamer Big Missouri worked and sweated in the sun, the retired artist sat on a barrel in the shade close by, dangled his legs munched his apple, and planned the slaughter of more innocents. There was no lack of material; boys happened along every little while; they came to jeer, but remained to whitewash. By the time Ben was fagged out, Tom had traded the next chance to Billy fisher for a kite in good repair; and when he played out, Johnny Miller bought in for a dead rat and a string to sing it with - and so on, hour after hour. And when the middle of the afternoon came, from being a poor poverty-stricken boy in the morning, Tom was literally rolling wealth. He had, besides the things before mentioned, twelve marbles, part of a jew’s-harp, a piece of blue bottle-glass to look through, a spoon cannon, a key that wouldn’t unlock anything, a fragment of chalk, a glass stopper of a decanter, a tin soldier, a couple of tadpoles, a kitten with only one eye, a brass door-knob, a dog-collar-but no dog - the handle of a knife, four pieces of orange-peel, and a dilapidated window-sash. 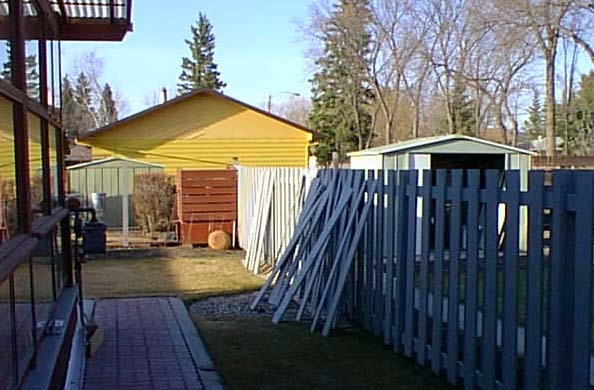 He had had a nice, good, idle time all the while - plenty of company - and the fence had three coats of whitewash on it! If he hadn’t run out of whitewash, he would have bankrupted every boy in the village.